We're focused on customized DER Repair solutions, fast turnaround times, material cost savings, responsive customer support and reduced operating costs. Long before we are old enough to take the controls, before we are sensible enough to accept the charge, there is a time when dreams of flight capture our minds and hearts, inspire us to break barriers that hold others back and allow us to go where no one thought possible. As one in a family of five award-winning divisions managed by Aereos, Airline Component Parts (ACP) is an FAA-certified 145 repair station, operating since 1994. ACP specializes in the development of DER repairs with a focus on customized repair solutions for high-value expendable components. 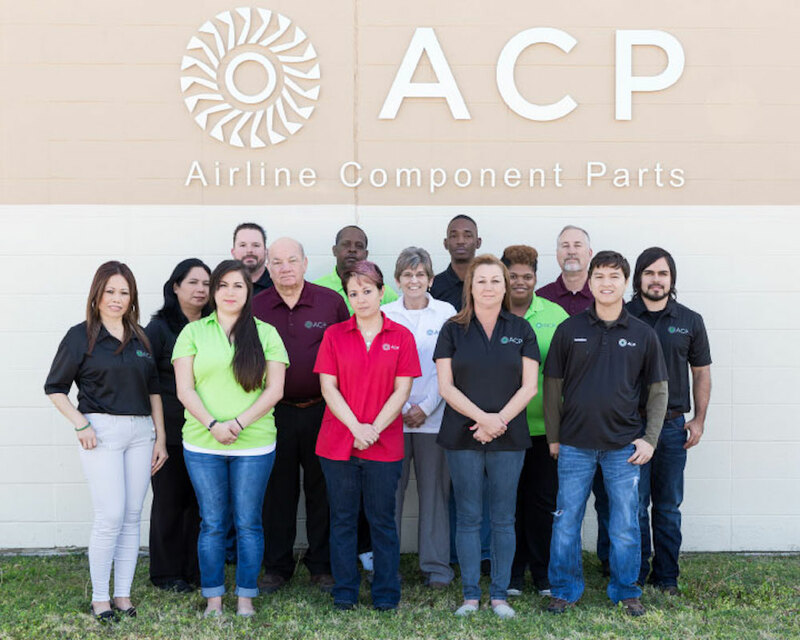 Airline Component Parts (ACP) was incorporated in 1993 by its founder and current Accountable Manager Terry R. Robe and started its operations in Euless, Texas originally performing minor repairs on sensors and switches, and mechanical components. ACP’s employees have over 150 years of experience maintenance and repair of aircraft. One of those longtime employees is Terry R. Robe who received the “Master Mechanic” Award by the Department of Transportation Federal Aviation Administration (FAA) for 50 years of dedicated service and technical expertise in the field of aviation. In 2012, EulessAero bought ACP, who had a long history of working with recognized names in the industry, and changed its focus from minor repairs to converting high-value expendable parts, into rotables. 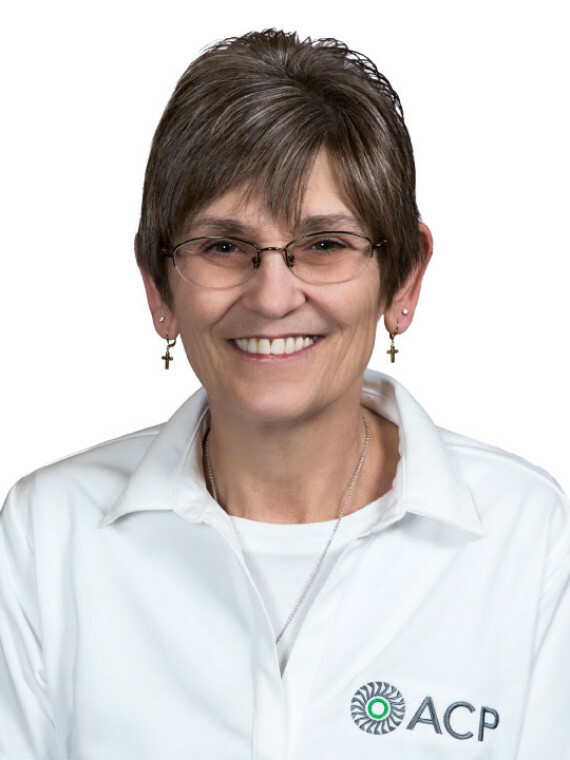 Patrice Sparks, who has 30 years of aviation industry experience, was named COO in 2013. Quantum MRO Logistics ERP software was implemented in 2015 to reduce turn times, improve customer service and reach or exceed production goals. Atlas Aerospace and ACP work together on projects that can be repaired by ACP versus replaced at Atlas. 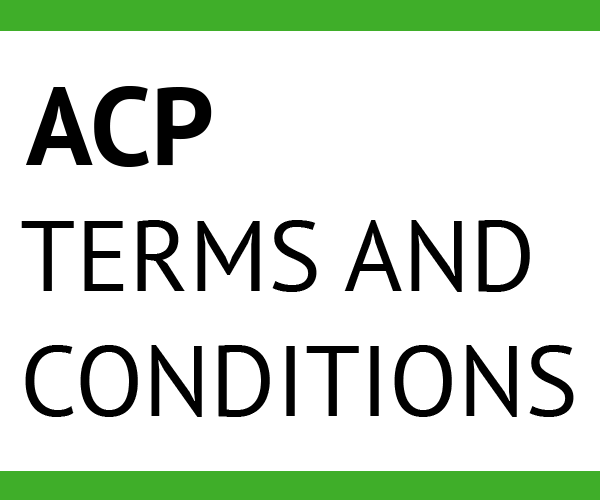 This synergy between the companies saves the customer time and money. 1993 - Incorporated by its founder and current Accountable Manager, Terry Robe. 1994 - Started operations in Euless, Texas originally performing minor repairs on sensors and switches, and mechanical components. 2010 - Current Accountable Manager, Terry Robe, was honored with the Charles Taylor "Master Mechanic” Award by the Department of Transportation Federal Aviation Administration (FAA) for 50 years of dedicated service and technical expertise in the field of aviation. 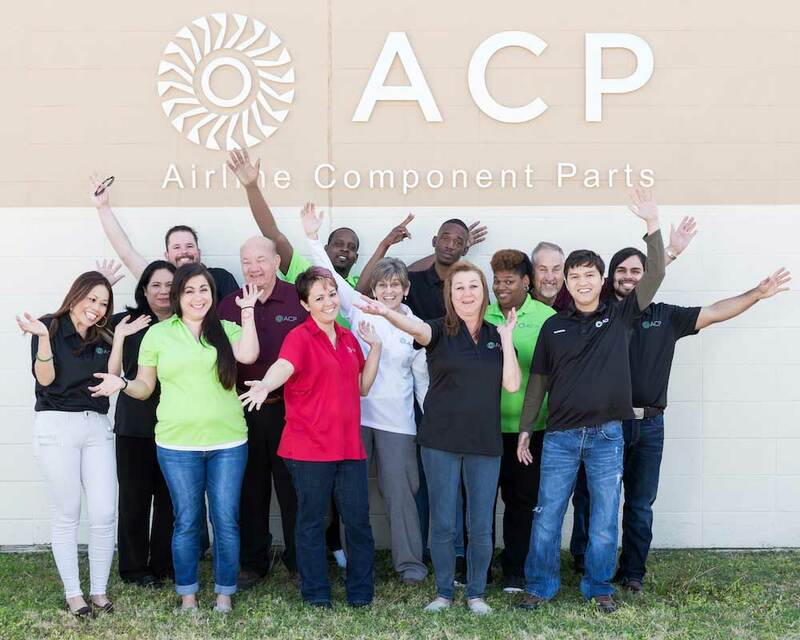 2012 - EulessAero bought ACP, who had a long history of working with recognized names in industry, and changed its focus from minor repairs to converting high-value expendable parts, into rotables. 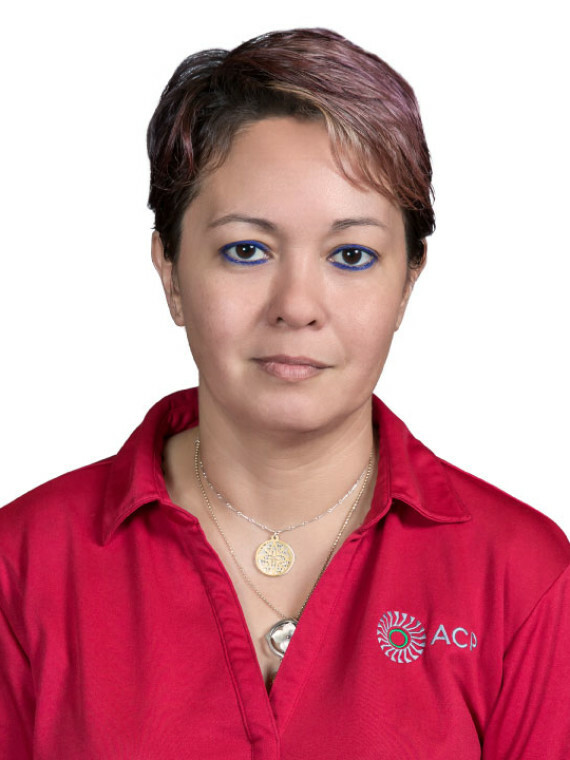 2013 - Named Patrice Sparks, who has 30 years of aviation industry experience, as COO. 2015 - Implemented Quantum MRO Logistics ERP software to reduce turn times, improve customer service and reach or exceed production goals. ACP is authorized to work on over 2,000 unique components with a staff who have over 150 years of FAA maintenance and repair service. ACP has developed automated repair systems and technologies that ensure quality and fast turnaround times. 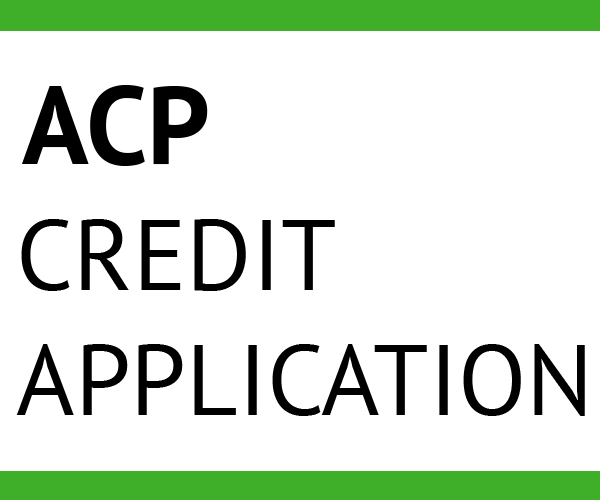 They also have extensive engineering and practical hands-on experience in FAA approved quality repair activities. The core business of ACP involves electro-mechanical accessories such as pressure and temperature sensors and switches, tack generators, fire detectors, indicators and torque motors. 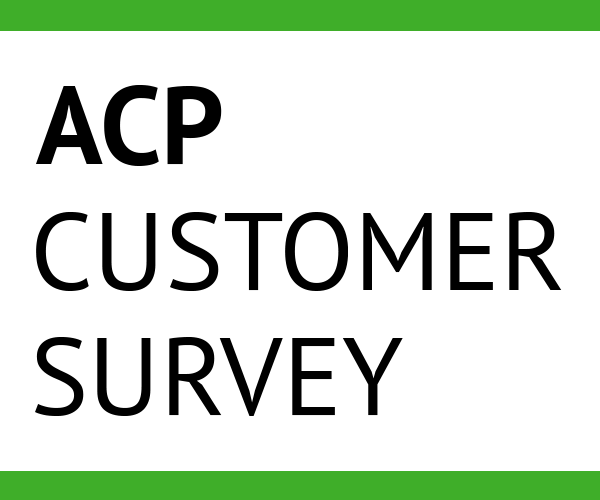 With specialization in the development of DER repairs for high value expendable components. Then you should join our team at Airline Components Parts (ACP). The problems that you take on this week may be completely different than the ones you solve next week—but whatever the assignment you will be challenged to improve yourself and ACP in new and demanding ways. ACP is focused on development of specialized and unique DER repairs for high value expendable parts. Through these DER repairs, we are able to provide our customers, exceptional value, high reliability and efficient turn times. 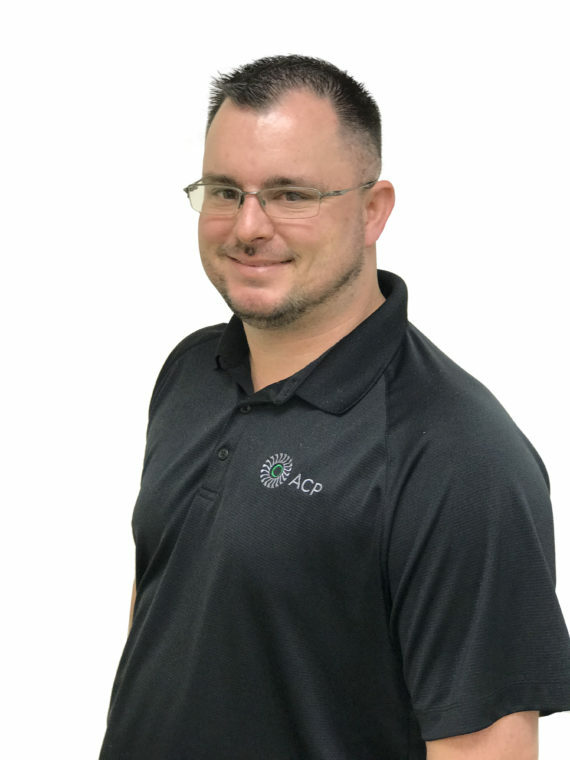 Operating since 1994, ACP is an FAA approved repair station that holds Class 1-2- 3 ratings and is dedicated to the repair and overhaul of electro-mechanical accessories such as Torque Motors, Pressure Sensors, Temperature Sensors, Pressure Switches, Tach Generators, LVDT’s, and Fire Detectors. ACP has extensive aerospace engineering experience and is highly regarded within the commercial aviation industry. 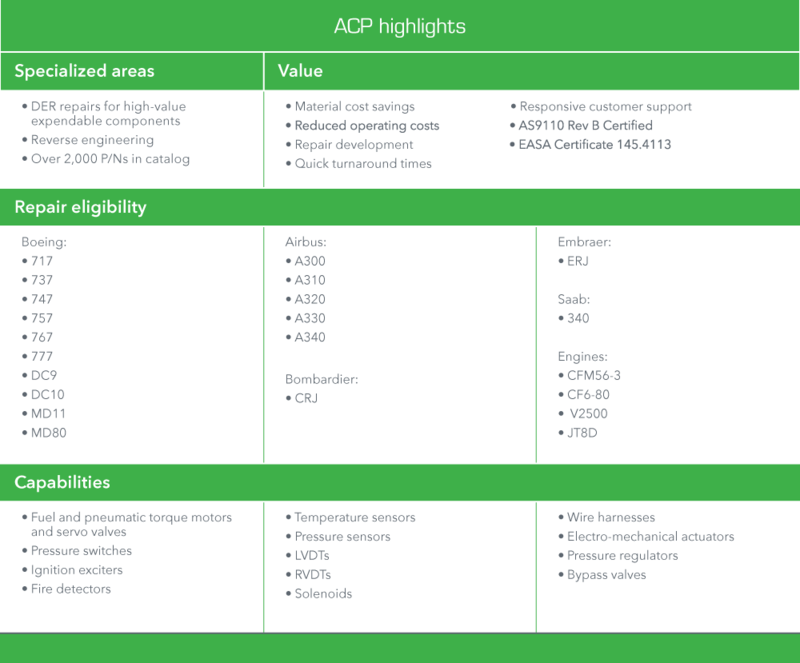 ACP is an EASA accepted repair agency, has AS9110 aerospace industry certification and is a current member of ARSA. 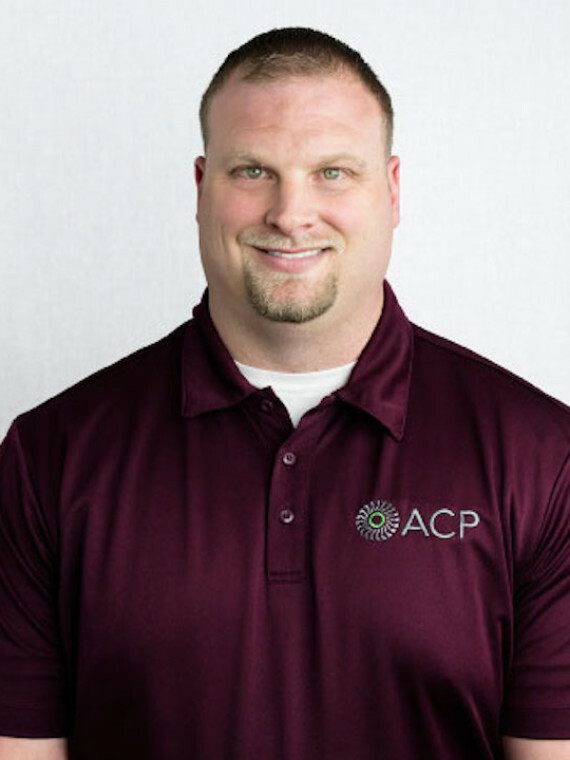 ACP is seeking a highly motivated individual who is looking to join a team of passionate aerospace professionals as a sales representative. You must be a self-starter, coachable, and be able to develop long-term relationships. Bachelor’s degree preferred. Outside technical sales experience preferred. Experience in aviation is not required.